Although Christmas is the happiest time of the year for many, for some it can prove to be the most difficult and students from QE wanted to help as much as possible. Teaming up with King’s Church Foodbank, members of the Interact Club and Travel and Tourism students spent six hours working with volunteers accepting donations, organising and restocking shelves, creating food parcels and delivering them to recipients. 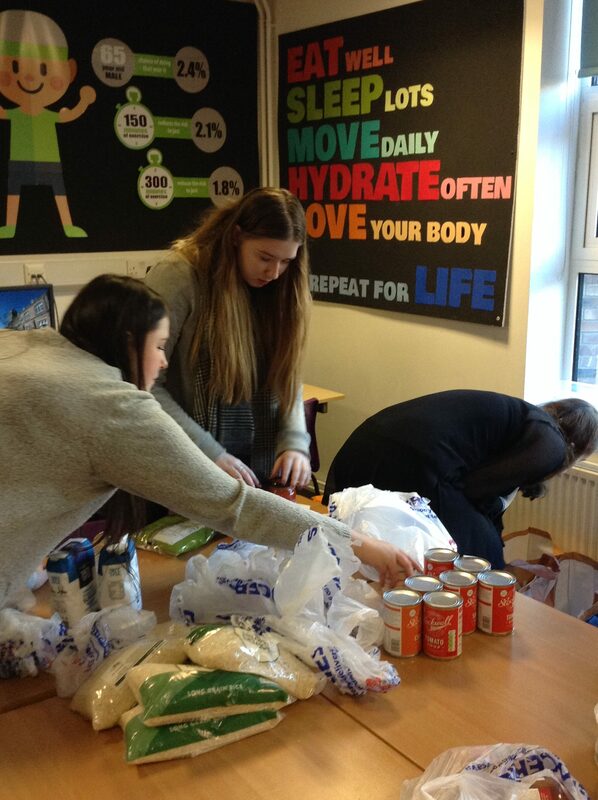 Back at College, they continued their hard work by bagging up approximately 700 meals worth of donations including tinned goods, dried food and juices. Reflecting upon this wonderful gesture of goodwill, student, Emma Baker, comments: ‘It’s incredibly hard to believe that people need to use foodbanks in the 21st century, however working with King’s Church has made me realise how much of an invaluable service they provide to the local community’. Nancy Wall, Interact Club Co-ordinator and Course Leader for Travel and Tourism, adds: ‘The students were fantastic and worked extremely hard. They were shocked at how large the demand is for foodbanks in Darlington, but were more than willing to get involved and do their part in the run up to Christmas’.